Peaceful haven, the Gulf of Morbihan with a mild and sunny climate, opens on the Bay of Quiberon by a narrow passage between Locmariaquer and Port Navalo. The waters of the ocean that enter the Gulf, have created over thousands of years, a true archipelago, a unique place where land and sea mingle. 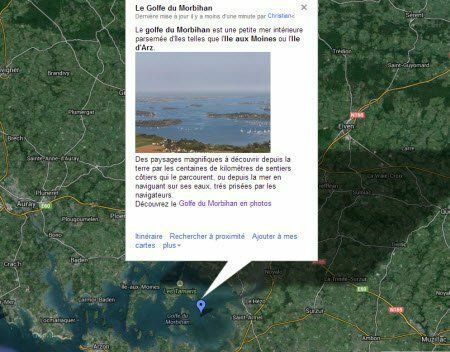 The Gulf of Morbihan is part of the Club of the most beautiful bays in the world. According to the legend, "the small sea" would include as many islands as days in the year ... The Gulf actually shelters only forty of which about thirty are inhabited. In the heart of the Gulf of Morbihan, two larger islands form a common: the Island of Arz and Île-aux-Moines. And many coastal trails that allow you to discover its islands in peace on foot or by bike! The discovery of the Gulf of Morbihan during a boat cruise is also a magical moment as the colors and landscapes vary depending on the tides, the times of the day or the vagaries of time. Annotated cruises, with or without stopover and by day, as well as lunches or dinner cruises are offered by several companies. Parades bringing together all the prestigious yachts and flotillas open and close this unique nautical week: it is a fabulous show to follow from the tips of the coast and the coastal paths.